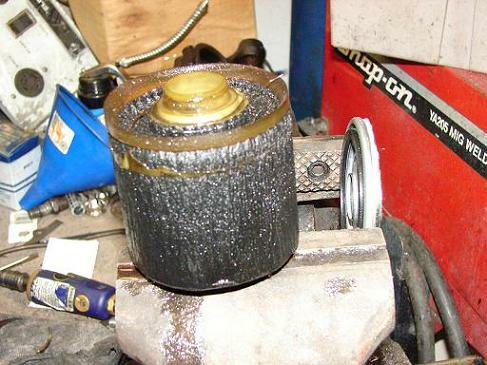 This is for Diesel filters, primary and secondary, no tank strainers please. 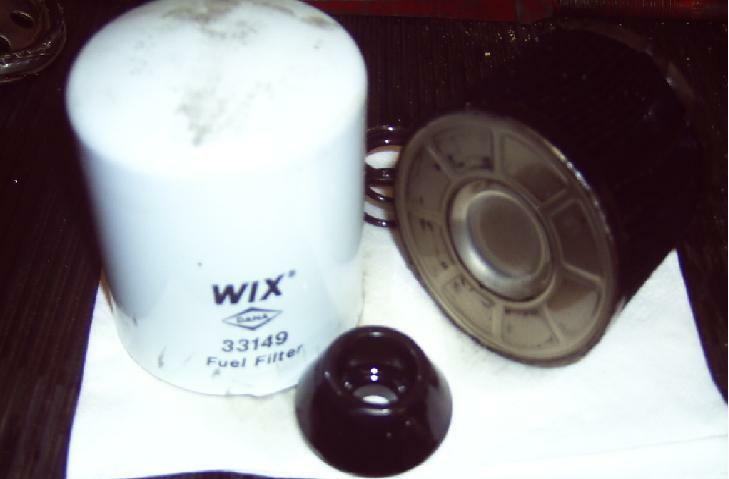 The attached pictures are fuel filters from a 1984 300D W123. No documentation of when they where last changed. NOTE: I have added a shock dose of Biobor to the fuel tank as a precaution. Last edited by whunter; 12-19-2005 at 12:50 AM. My new one (been in for 4-5 months so far) is still crystal clear after over 4.5k miles, nothing in the screen......buy at high-volume stations! 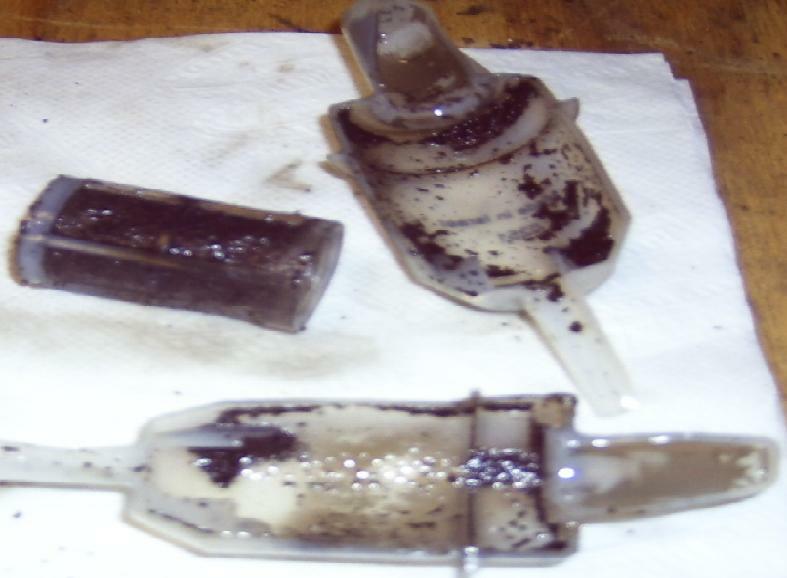 Was that gunk the result of biodiesel 'cleaning' out the fuel tank? Whunter your pictures of this stuff always amaze me. Tell me something. Is this stuff gritty to the touch or is it slimy? I have never seen it close up. I can't believe the poor fuel some people are getting. My plastic filter is still clear after 10k miles. 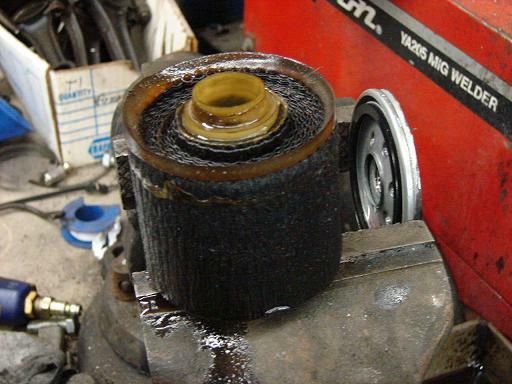 My diesel tractors sometimes go for five summers on their filters. All liberals are mattoids but not all mattoids are liberal. Try the StarTron Diesel additive. My filters were constantly getting gooped up, and since I put in the St DA. 1 month ago all filters are clear and dramatically different. No power loss or hestation since. It is available at West Marine or other marine supply stores! Originally Posted by J. R. B. Feels like hard sharp black sand. 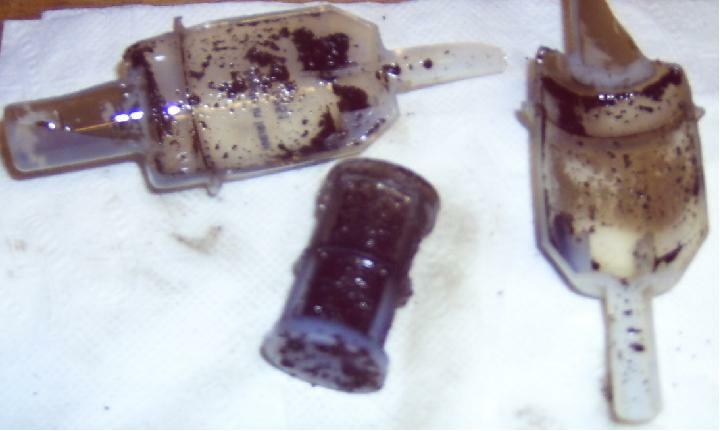 Biobor will cause results like this- go ahead folks with crystal filters for five years, try it. After ruining a $11K IP after adding Biobor, I never use the stuff on a marine diesel anymore- IP's can cost as much as a new MB on the engines of the vessels I drive now. Fuel polishing is a much better choice. Crap From Bottom of Tank? WOW, that looks bad. Looks like you got some of the crap from the bottom of the tank in the gas station. 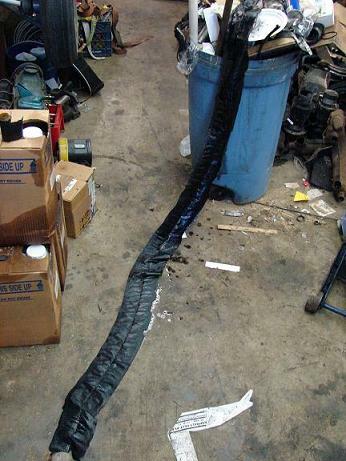 Many years ago, I was able to look inside a leaking diesel tank dug up from a gas station. I was amazed at the crap inside. This is why I go to fill up in stations that have recently replaced tanks, or those with high volumes like those near highways. 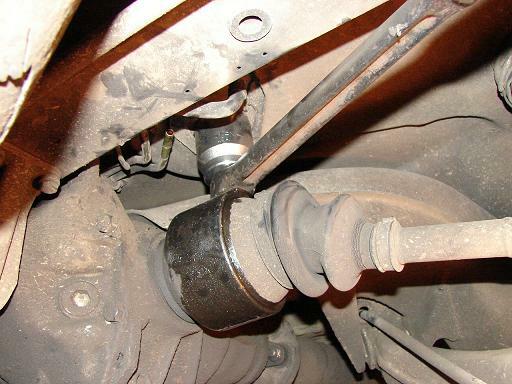 Five years with only oil change maintenance, nothing else. Filling the tank at the worst possible low volume ghetto stations. Adding links to related threads. Spin-On Filter Replaced! - Pictures!! Main filter with about 30-34k on the clock. 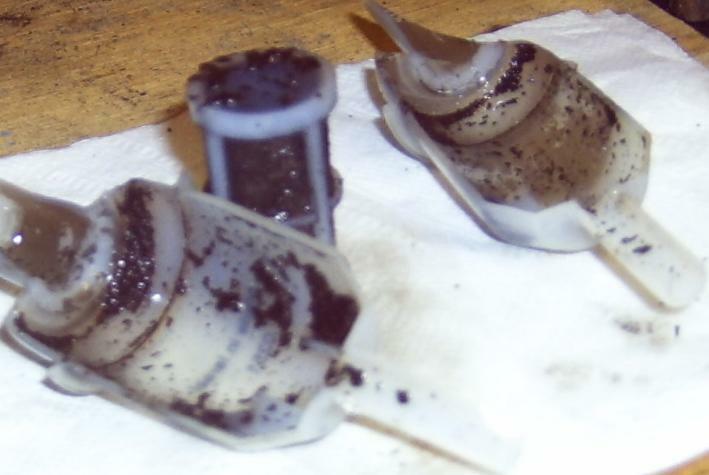 ...the goo looking stuff is the glue they use inside the filter. Last edited by Brandon314159; 02-04-2006 at 05:18 PM.